“16 GB of internal storage space? That’s more than enough,” you thought as you made the worst decision ever, ever, ever. Buying a device with only 16 GB of internal storage space is like moving to the arctic. Can you survive in a snowy wasteland? You can, but it's not easy. Here is my ultimate survival guide to getting by with minimal internal storage. Media can take up vast amounts of storage space, and the higher the quality, the more it will take. High-resolution video is particularly vicious, but music and image files occupy vital space too. Apps can vary wildly from a couple of megabytes up to around 8 GB if it's Final Fantasy IX. FFIX is basically a blizzard in this scenario, and can really harm your survival chances. And most camera apps and software allow you to change the size and resolution of images. Remember, the lower the number of pixels, the less storage space they will require. Google Play generally makes it quite easy to understand how large files are (there is a size category on their store page) but you can find out for yourself too. Some UIs make it easy for you to view file sizes – if you go to Settings > Apps, you can see file sizes easily. Others may require you to go to download an additional file explorer such as ES File Explorer, which can be useful for helping you manage all kinds of files. There’s no need to carry a scythe if a swiss army knife will do. Or to put it another way, if you don’t have a device that can play 4K video back to you, why film something in 4K? Think about how you will view the types of media that you create. I mentioned music earlier, but the same goes for pictures. If you just want to view images on your phone or a low-resolution monitor, reduce the number of pixels that your phone snaps with. 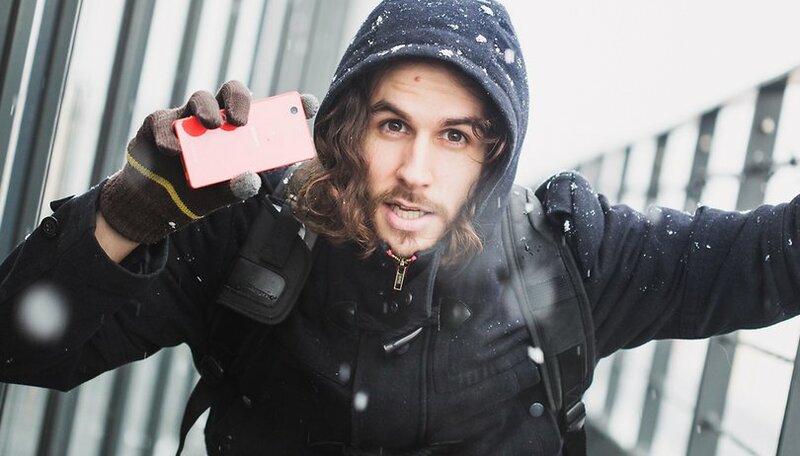 If your phone is a tundra, your microSD card is a backpack. This is your extra space for carrying what won’t fit in your coat pockets. You can assign your microSD Card to store certain kinds of files, such as images, videos, and even some app data. Just note that not all Android phones support them. You can do this periodically by going to Settings > Storage and tapping Transfer data to SD card (the process will be similar no matter which Android device you own). It's a convenient one-tap solution. Alternatively, you can move the data of individual apps to your SD card by going to settings > apps > [insert app name] > move to SD card. Not all apps have this functionality, but it can save some precious megabytes. MicroSD cards don’t act like normal storage (though this will change on some devices with Android 6.0 Marshmallow). So before you buy a device, don’t go into it believing you can buy a 16 GB card, add it to your 16 GB internal memory and voila, a 32 GB device. Also, buy the right size for your needs. You're most likely to use a microSD card for images, videos, and audio, but images can be held in the cloud (more on that below), and you may use an MP3 player for your music – if all you use the SD card for is to store a few videos, you probably don't need a huge 128 GB model. Make sure you know what size SD card your phone can handle, too. The best way to find this out is to refer to your owner's manual or look online. Think of the cloud not as a cloud but as a cave. This is a vast space outside of your phone that can come in gigantic sizes. Cloud services are everywhere now, and they can hold many types of files and data. There are pitfalls of using cloud storage, of course. There are concerns over privacy and security, not to mention what happens if your chosen cloud company goes bust. Google Photos, however, is a pretty safe bet. It provides unlimited photo storage for files of a certain size, and it’s actually not unfairly small. Google Photos is a fantastic service for those trying to survive with small internal storage capacities, and though it's not infallible as far as security is concerned, Google has more to lose from a security hack than most. Dropbox also offers a similar service. Check out our best cloud storage services for more. WhatsApp is your pet Polar Bear – a magnificent creature and your best friend, until it turns on you. All of the files you send and which are sent to you are held in your device’s memory, and this is always filling up. You can use a WhatsApp setting to automatically backup this content to Google Drive, meaning you can delete it from your device periodically, or assign that folder to be backed up into Google Photos by going to Google settings > Google photos backup > Choose folders to backup and selecting WhatsApp images and WhatsApp video (you must have Google Photos installed to access this). One you've done this, and your WhatsApp files have been backed up, you are free to remove them from your device. You can access them again later from your Google Drive or Google photos app. There’s no real secret here, just be sensible about how you use your device. Uninstall the apps you don’t need and assign automatic backups to files you want to keep (and remember to delete from your phone once you're done). You should also know that a phone you want that comes with 16 GB of internal storage space doesn’t actually give you 16 GB of usable internal storage space. In reality, it's more likely to come with between 11 and 12 GB, as the article at the link explains. Do you have any tips for surviving the perilous conditions associated with low storage space? Let us know in the comments. It's not such a big problem that you have only 16 GB, but if you know how to manage them correctly, they should be enough. You had my attention from the moment you mentioned FFIX. Also, the pics of you in the snow cracked me up. I run a Note 5 with 16GB and use Google Drive, Google Photos, Google Play Music and OneDrive. Photos, once backed up to Google Photos, is removed from device (from within Google Photos), even WhatsApp images. Virtually nothing is stored on the device, if it is, I move it to either of the Cloud Storage options. Google Drive sitting on 129GB and OneDrive on 1TB due to Office 365 Home Subscription. Hence, the less I keep on the device, the lower the risk of loss should device go belly up for whatever reason. Some apps have large database files that cannot be placed on external hd. If you are rooted, the FOLDERMOUNT app by Madmack will let you move the files to external sd, yet make them appear to be on internal hd. I also have moved my entire android/data and android/obb to the sd. just use an OTG Pendrive. im using moto x 16gb and n i have a 32gb otg pendrive to store my medias n stuff. If your device doesn't support a micro/sd card, then there are still a few tips left. so long as you use google photos or microsoft onedrive, back up your photos at the end of the day or if you are on a unlimited data plan, on the fly. Google photos has the option to delete the files once they're saved. Enable the option in settings & one less thing to worry about. For other files, OneDrive is used for cloud storage. You get 16GB Free with each hotmail account you have & can store whatever files you want there. Depending on the phone, if your micro usb slot has OTG capability, you can also plug an external storage device in this way. Seeing more on the market now which also have a battery booster combined so storage & extra battery charged which is never a bad thing. Great for keeping music & video files on and stops them taking up valuable real estate on your device. Even transfer photos and anything else you want to to them if you're out & about. You can easily get upward of 128gb of cloud storage for free if you're smart. For bloatwear, a lot can be disabled.. some, even uninstalled. Disable what you dont use & you also wont waste space on updates for disabled Apps. Thanks for the guide.. I currently have a 16GB phone and just bought a 64GB SD Card. I'm looking at a new device with at least 32GB internal. I have also uninstall all those apps which I use rarely. Now have enough space but bloatware is the biggest issue. I wonder how many people have apps they never really use taking up space.... personally if I don't use it I ditch it, same goes for old files... but phone's are like home's ! and most folks have to much junk it's a fact of modern consumerism..